This guide gives a brief overview of the different leather types and their care. 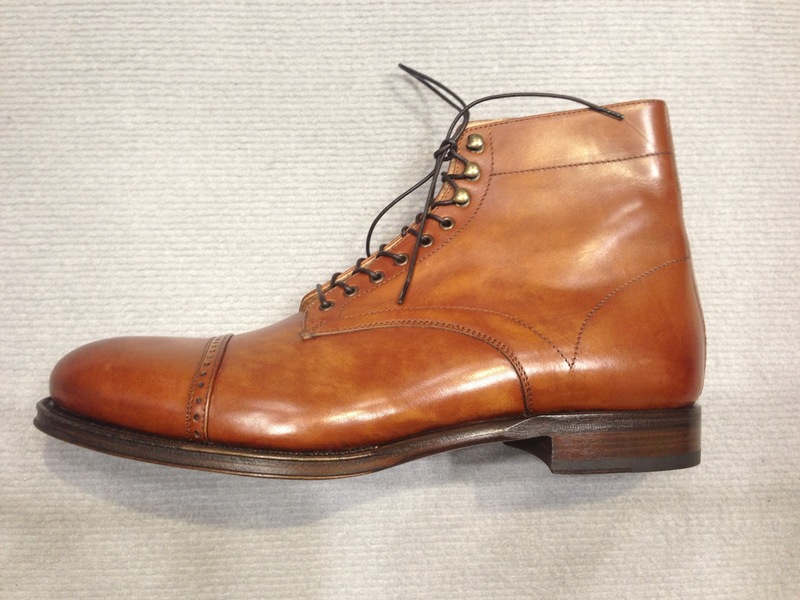 The first step to proper shoe care is the identification of the material from which the shoe is made. Different materials require different shoe care routines. What is appropriate for a pair of one pair of shoes could damage another. 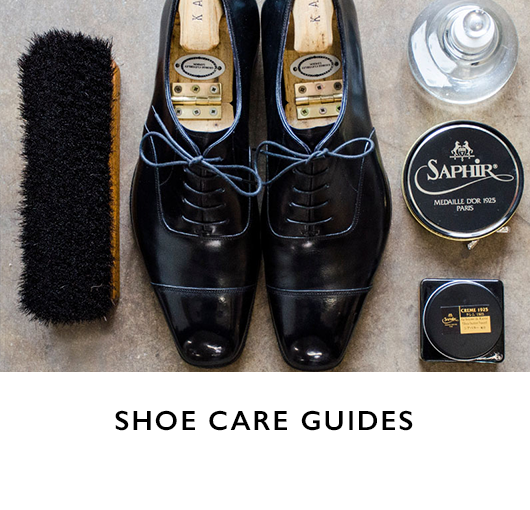 The purpose of this guide is to help you identify the material from which your shoes are constructed and then provide a brief summary of the proper shoe care products. 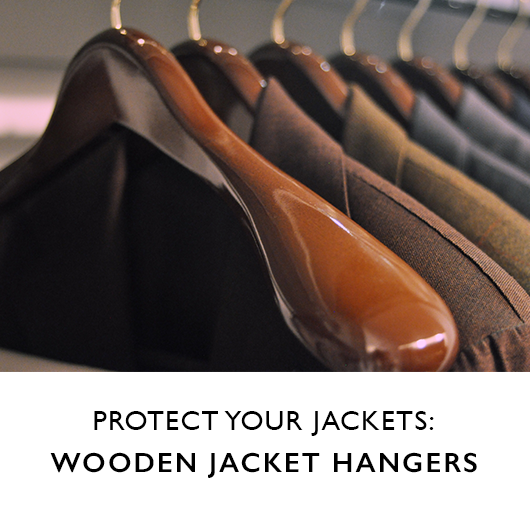 The finest calfskin shoes require proper care to prevent them from drying and cracking. 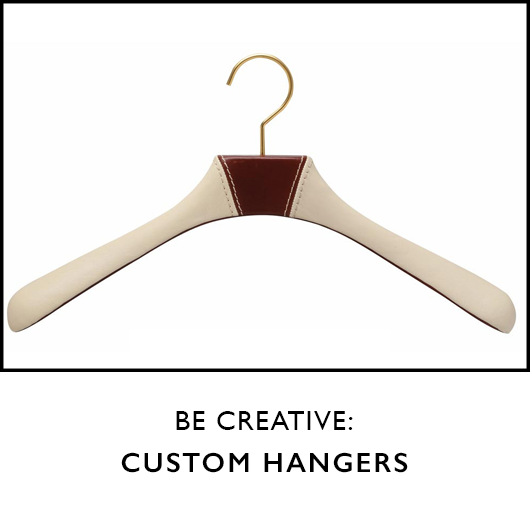 It is essential that the leather be fed with high-quality, natural nutrients. 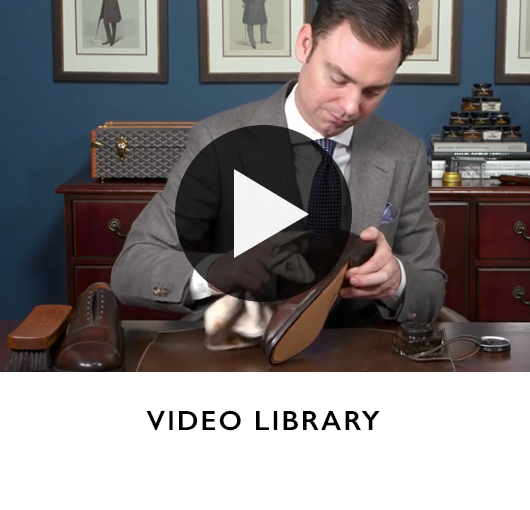 With proper care, a pair of smooth calfskin shoes can remain soft and supple for decades. Pebble grain calfskin is pressed or embossed in order to create a textured, grain pattern in the leather. Pebble grain leather is regarded as less formal than smooth calfskin. The texture of the grain requires light polish in order to prevent wax buildup inside the grooves of the grain, which can leave an unattractive white residue, especially when exposed to water (easily removed with leather cleaning soap or Reno’Mat). 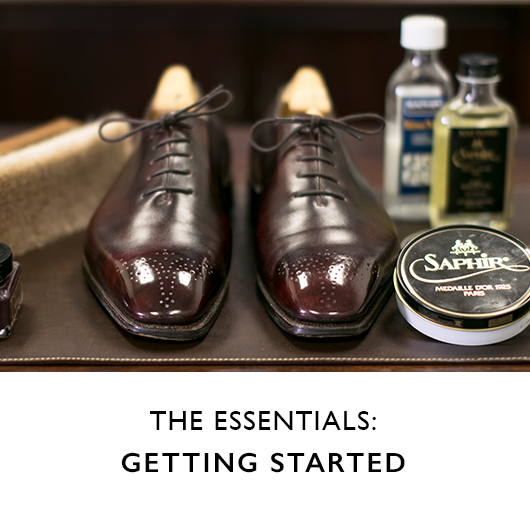 *In order to prevent any buildup of soap in the grooves of the pebble grain leather, it is important to thoroughly rinse the shoe after shampooing it with the Saphir Leather Cleaning Soap. Simply wipe down with a wet washcloth or lightly rinse under a water faucet. 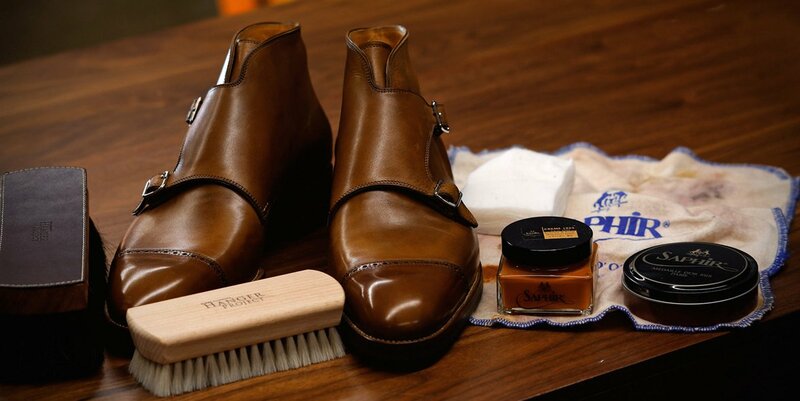 **To prevent any buildup of wax in the grooves, apply only a light coat of Medaille d’Or products and buff off with a pig hair shoeshine brush (stiffer bristle than horsehair) before the product completely dries. This will ensure that any excess wax is completely buffed out. 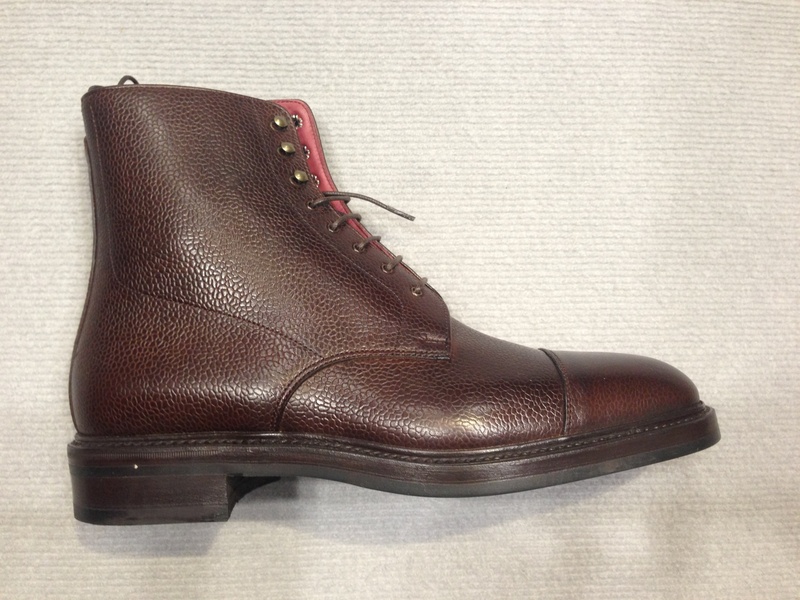 Nappa leather is similar to smooth calfskin but from goat. 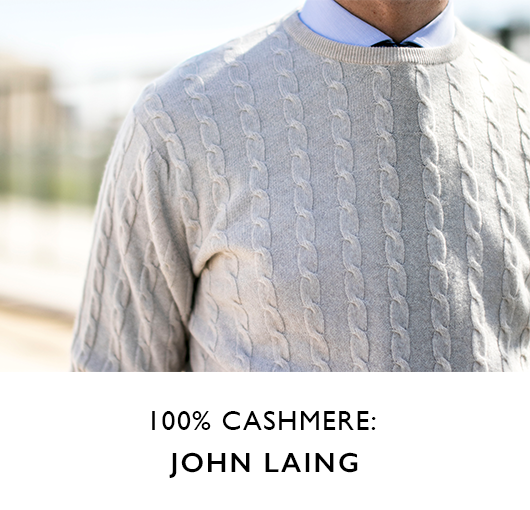 It is an incredibly delicate, soft material and is never waxed. Nappa demands special attention when cleaning to prevent damage to the skin. Saphir has developed a special product especially for the care of Nappa that contains almost no waxes, which would ruin its delicate character. Nappa is very porous. One way to test if leather is nappa is to place a wet finger directly on the leather; if the leather quickly absorbs the leather and produces a water stain, then the leather is nappa. Nappa is not often used for shoes because it’s such a fragile skin. 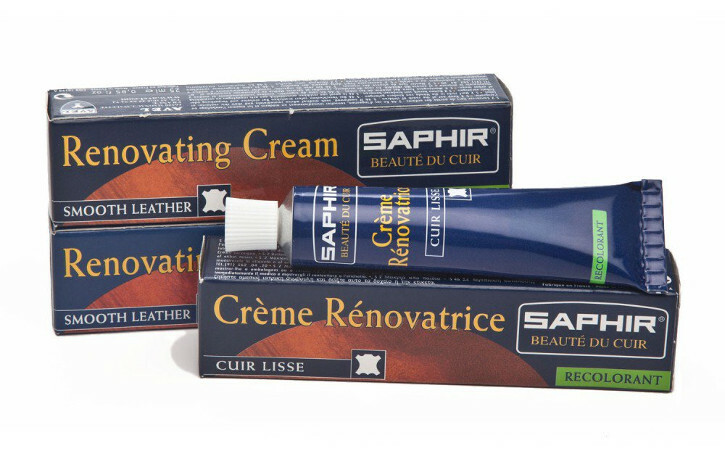 Because of the delicate, porous nature of Nappa leather and because it is never waxed, it is particularly important to protect the leather with Saphir Super Invulner. 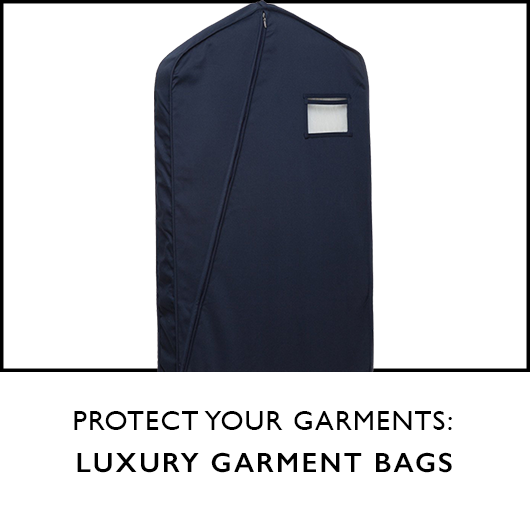 Because the leather does not have the benefit of a protective wax finish, you need the Super Invulner protection to prevent water and other substances from being absorbed into and staining the leather. Suede is the reverse side of smooth calfskin. 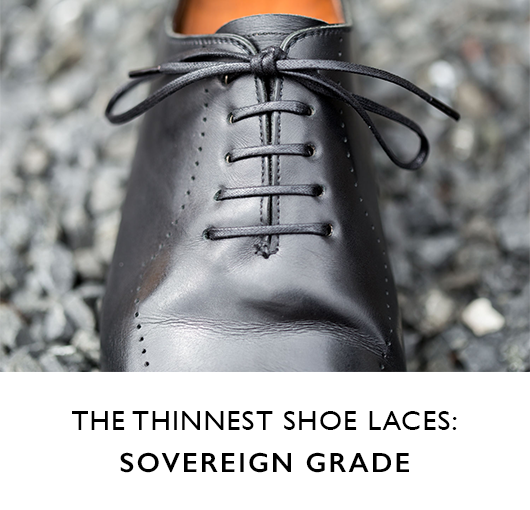 It is a fantastic and often under-appreciated material for shoes. Suede is perfect for more casual shoes and boots, is durable, does not scuff, and easily cleaned with the proper cleaning products. 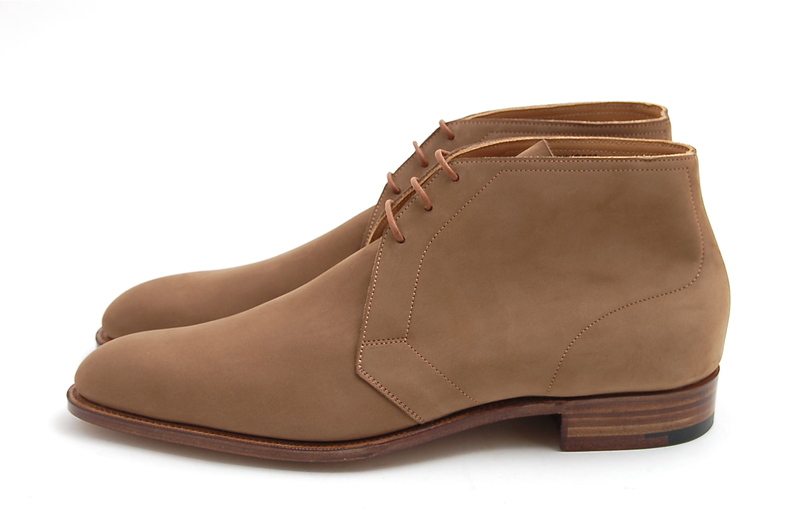 When cared for correctly, a fine pair of suede shoes can last years. Integral to the proper care of suede shoes is the regular brushing of the nap using a suede brush. 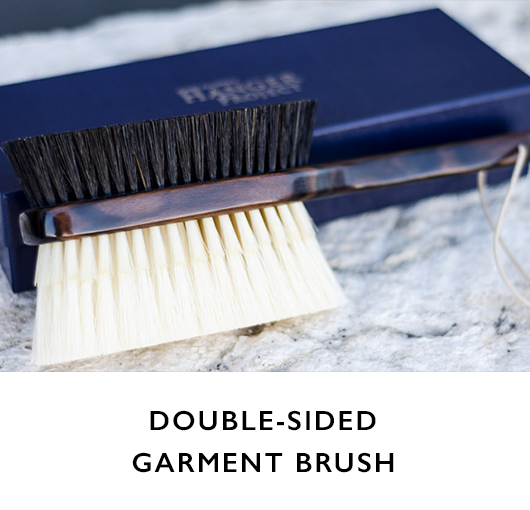 Just like vacuuming carpet, a suede brush helps remove any embedded dirt and keeps the nape fluffy. Nubuck is similar to suede but features a much finer texture. 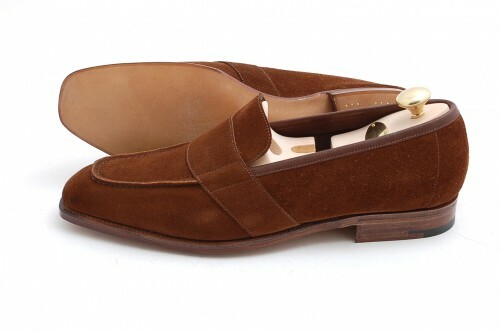 It is created by sanding the smooth side of calfskin to produce a very fine, suede-like texture. It is much more delicate than suede. Because of the delicate nature of the nap, a suede brush with their stiff bristles will actually damage nubuck. Instead a Crepe Brush should be used for brushing. In addition, it is particularly important to protect with the Saphir Super Invulner. Crocodile and Alligator are two of the most expensive materials used to make shoes. 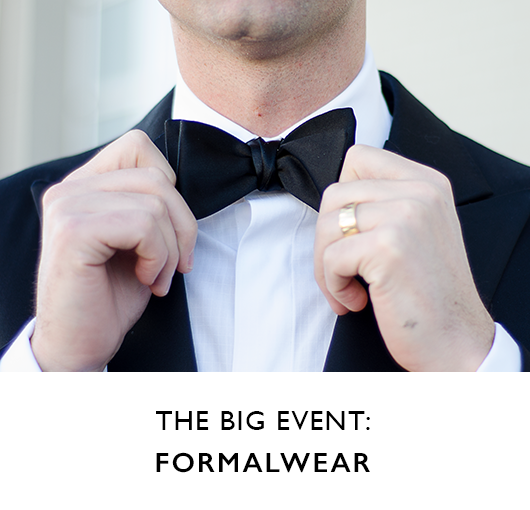 The smaller the scales of the crocodile and the fewer pieces used, the more expensive the shoe. Because these animals live in water, these skins are not very porous and are prone to drying, which will cause the skin to crack. A well cared for pair of crocodile shoes can last decades (as illustrated by the pair pictured, which I inherited from my grandfather). It is essential, though, to keep the skin fed with essential nutrients in order to prevent drying and cracking. For this, there is the Saphir Reptan Reptile Conditioner. *Multiple coats of the Reptan may be required to produce a high-gloss finish. If after three coats of the Reptan, a higher gloss polish is still desired, apply a thin layer of Saphir Pate de Lux neutral wax polish and buff with a chamois. 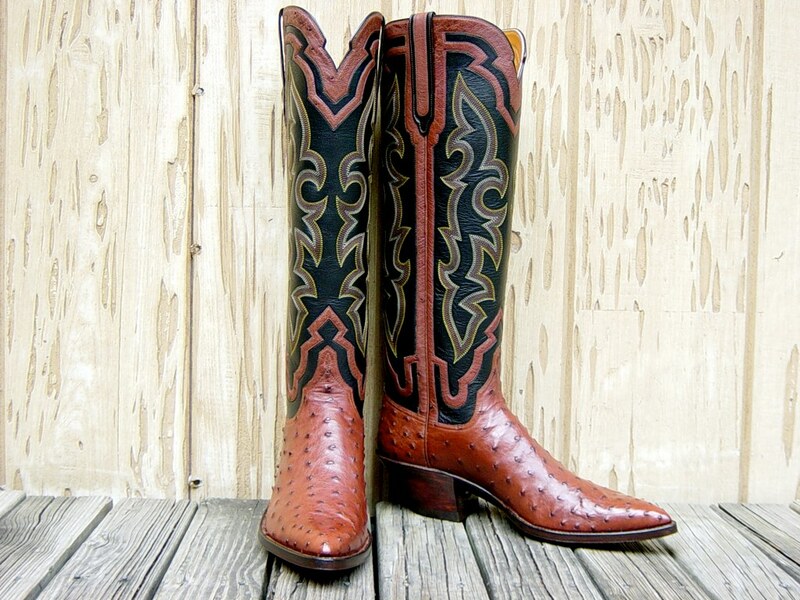 Lizard and Snake are most commonly used for cowboy boots than leather dress shoes. These exotic skins are incredibly unique and require special care. The Reptan Reptile Milk is a total care solution that can be used to clean, condition, and polish these skins. Ostrich Leather is another exotic skin used primarily for cowboy boots. Leather from the leg of the ostrich is what is most commonly used. Because Ostrich leather is normally unwaxed, the Nappa Balm is the best total care product to use. Patent leather is characterized by its high-gloss, almost glassy finish. To obtain patent leather’s hard, glossy surface, a varnish or lacquer is applied in the final steps of the tanning process. 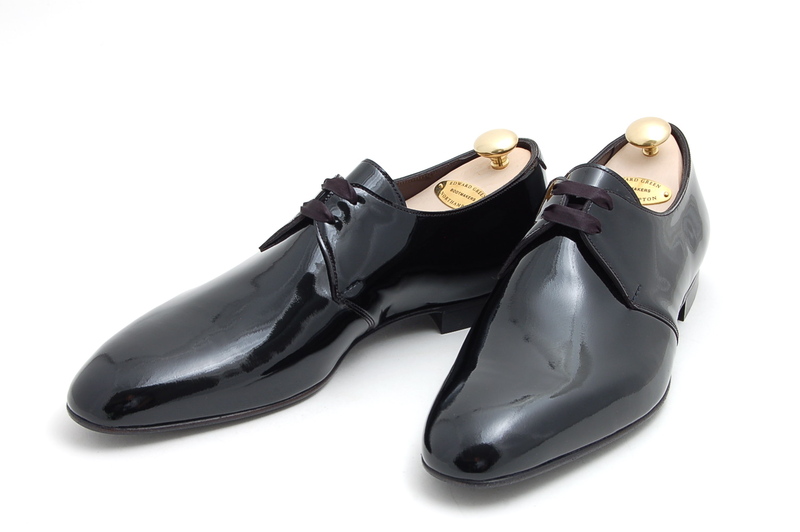 Patent leather is most commonly reserved for formal evening shoes. The care of patent leather is quite easy. 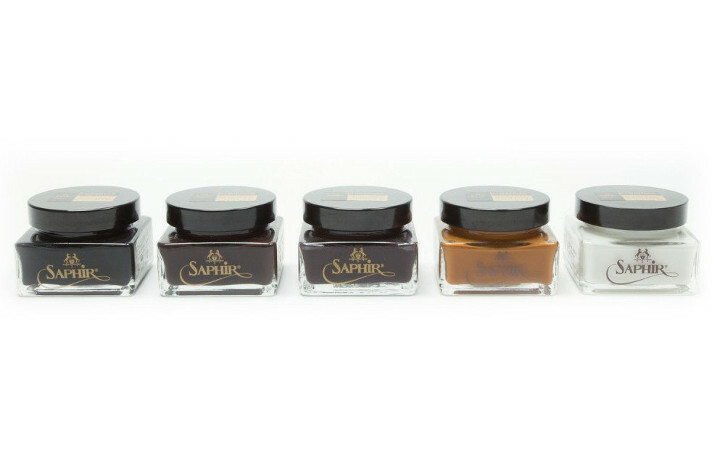 Saphir has developed a special Vernis Rife “total care” product especially for patent leather. 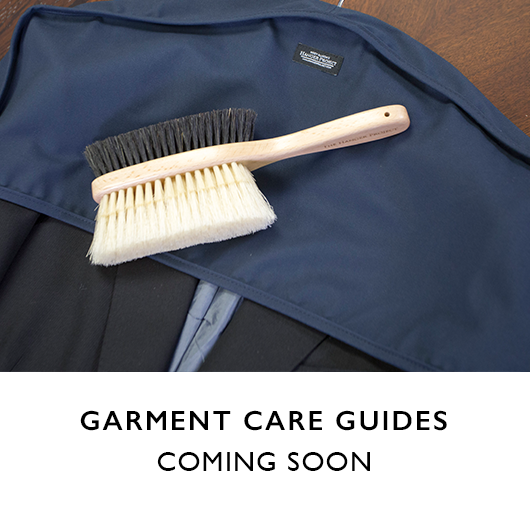 Available in both black and neutral, it will clean and restore the shine of all patent leathers.